“Amelia’s Closet” is a coming of age short film about an 11-year-old girl who is bullied at school. It is part of HBO’s short film competition. “We have 60 new writers and directors joining us this year,” said Melanie Sharee, head of programming and industry relations. 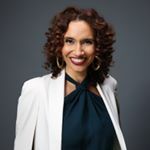 “Within our Talent Discovery Programs, we introduced a new writing program with Turner to identify talented writers equipped to work in TV,” Sharee said. “Our priority is to unearth new black talent and find ways to introduce them to the industry-at-large.” This includes the ABFF Greenlighters Academy for college students. Inspired by the Rev. Jesse Jackson’s call for a boycott at the Oscars after a lack of African-American nominees, producers and directors Jeff Friday, Byron E. Lewis and Warrington Hudlin decided to organize a festival for blacks in Hollywood similar to the Sundance Film Festival. One of the main goals was to find a venue where members of black Hollywood could network with each other. ABFF started in 1997 as the Acapulco Black Film Festival in Mexico, where it was held for the first four years. Actor-director Robert Townsend hosted the first event with 600 people attending over five days. The festival showed nine independent movies and presented seven awards. In 1998, HBO became a supporter and partner, creating the HBO short film award. Actor Denzel Washington, singer-actor Isaac Hayes and actress Kym Whitley participated at the festival in its early years. Melanie Sharee is head of programming and industry relations at ABFF. Offerings range from Malcolm D. Lee’s “Girls Trip” to “Tell Them We Are Rising: The Story of Black Colleges and Universities,” a documentary by Stanley Nelson. Besides the festival, ABFF also shows independent films on Magic Johnson’s Aspire network and an awards program on BET. In addition to its impact on the industry, ABFF has personal meaning for individuals, Sharee said, including herself.